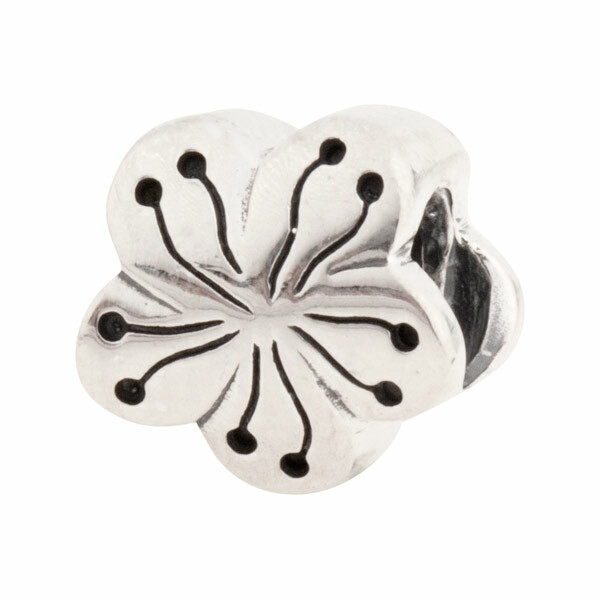 This unique sterling silver bead features a floral shape with a butterfly inspired motif. The motif has been oxidized to enhance it visibility. A great piece mix with our other floral inspired designs. This bead also has a threaded core for compatibility with most brands of bracelets. Approximately 7.5mm x 9.5mm x 9.5mm.